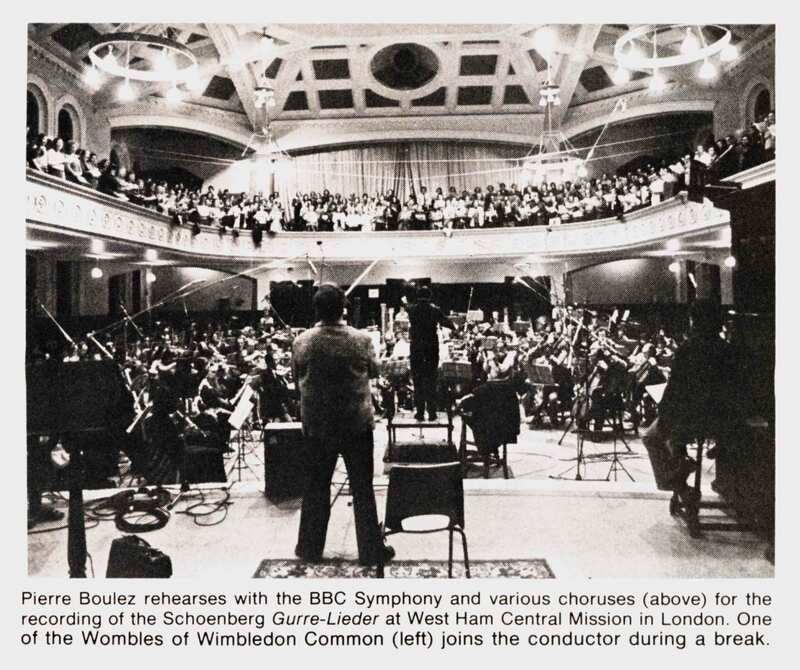 When Boulez met the Womble. Posted: March 23, 2015 | Author: thelondoncolumn | Filed under: Architectural, London Music | Tags: Arnold Schoenberg, Chris Morris, Chris Spedding, Gurrelieder, Mike Batt, Pierre Boulez, Pierre Boulez dead, Remember you're a Womble, The Wombles, Yvonne Minton |Comments Off on When Boulez met the Womble. 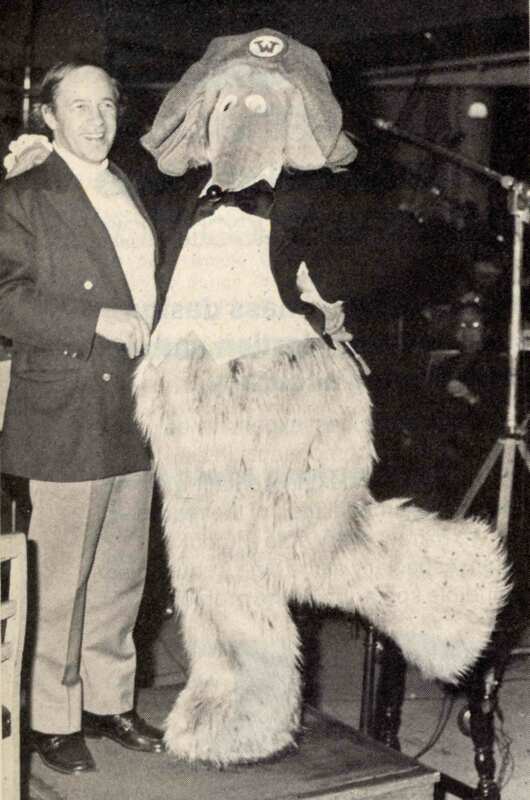 Boulez and Womble, West Ham Central Mission, 1975. Photographer unknown. The Wombles, in their Disney-esque costumes, are an enormous success on television with children of all ages, and their signature tune was an enormous pop hit for CBS. Needless to say, Boulez had never heard of the Wombles but with a patience rarely given to such formidably intense artists, he willingly joined in the joke. These photos from High Fidelity form part of a report on the recording of two monumental Schoenberg works by the BBC Symphony Orchestra under Pierre Boulez. The recordings, for CBS – now Sony – were made in West Ham Central Mission – now the Memorial Community Church, Plaistow – which enjoyed a brief spell as a recording venue for orchestral music in the 1970s, until the interior of the building was altered and its spacious acoustic properties lost for good. Boulez was there to record Schoenberg’s Gurrelieder and Moses und Aron. Anyway, Pierre Boulez turns 90 this week, so this is The London Column’s opportunity to offer the maestro a modest tribute. Your correspondent was a regular at Boulez’s concerts in London in the 80s and 90s; he represented a personal link to Stravinsky, Varese and the post-war avant-garde, and in today’s denuded cultural landscape it is hard to see who will ever replace him. Here is Yvonne Minton singing the Song of the Wood Dove from Boulez’s magnificent recording of Gurrelieder, the same one he was working on when Batt’s creature showed up. D.S.